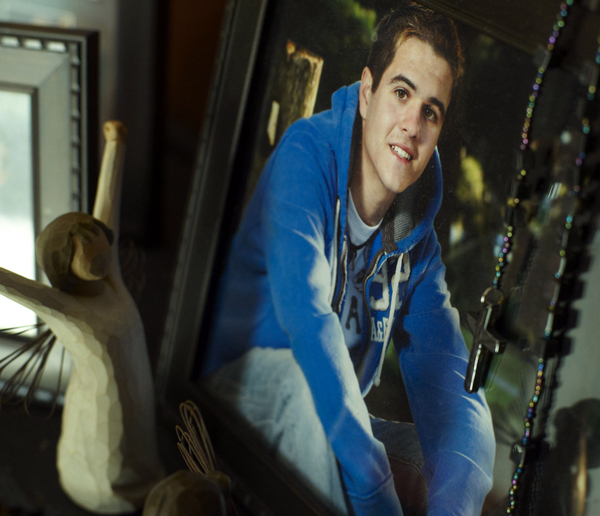 VEAZIE, Maine — At 18, Alex Quimby was no saint, but he was popular, adventurous and optimistic — “a really good kid,” according to his mother. He was an avid snowboarder, had good friends and was part of a close and loving family. A recent graduate of Orono High School, Alex was looking forward to starting classes at Eastern Maine Community College in Bangor. But first, he was visiting his father in Florida and exploring the possibility of getting a job for a few months in the Orlando area. So his mother, Sherry Williams of Veazie, was completely unprepared when she got a distraught call from Alex’s father, David Quimby, one night last November, telling her their son had hanged himself in his bedroom closet. Now, David Quimby, Sherry Williams and others who loved Alex are going public with their experience in an effort to raise awareness about the choking game. Their story will be featured on Monday’s episode of “The Dr. Oz Show” on WLBZ-TV, Channel 2, in Bangor. The choking game goes by other names — “space monkeys” is common in the Bangor area, along with “flatliner,” “funky chicken,” “purple haze” and others. The goal is to stop the blood flow to the brain by applying pressure to the carotid arteries in the neck — to the brink of passing out — then release the backed-up blood to produce a euphoric rush. Risk-taking youngsters of both genders may undertake this dangerous activity in groups of friends or at parties, sometimes using their hands to choke off circulation until the willing victim reaches a near-faint. Theoretically, as soon as the stranglehold is released, the blood floods the brain and the victim regains dreamy consciousness. But depriving the brain of oxygen-bearing blood, for even a few seconds, results in the destruction of brain cells and in some cases leads to seizures, permanent brain damage and even death. More prolonged lack of oxygen makes serious injury and death more likely. Some youngsters engage in this activity alone, leaning into a loosely looped belt or rope tied around a bedpost, doorknob or closet bar until they are on the verge of fainting, then stepping backward into a euphoric collapse. With no one around to intervene, even a small miscalculation can be fatal. There were signs that Alex was engaged in this dangerous behavior. “He’d go to bed early and have his door locked,” said Mike Williams, Alex’s stepfather. “He’d come up with his eyes bloodshot, complaining of a headache. He always had belts lying around.” These are all signs of engaging in the choking game. But neither Mike Williams, nor Sherry Williams, nor David Quimby, nor any of the other loving adults in Alex’s life knew anything about the choking game. Quimby had spoken to Alex on the phone at 2 o’clock on the afternoon he died and everything seemed fine, he said. In addition, Alex had talked with his mother early that evening and with his grandmother shortly after 6 p.m. All the conversations had been upbeat and normal, with no hint that Alex was feeling anything except a bit bored and looking forward to getting back home to his friends in Maine. “He had dinner plans with three different girls when he got back to Bangor,” Quimby said. When David Quimby got home to his Orlando condominium at 7:30 that evening, Alex’s bedroom door was locked and there was no response when he knocked. When he broke into the room, Quimby found his son dead, suspended by a D-ring belt around his neck from the closet clothes bar. Alex’s feet were flat on the floor and his 6-foot-2-inch body was in a strange, half-seated position. Emergency responders, police investigators and the medical examiner termed Alex’s death a suicide by hanging. “We assumed it was suicide at first,” Sherry Williams said. “But there was absolutely no reason.” She was tormented by the lack of an explanation. There was no suicide note. Sherry Williams said she and Alex had talked about suicide after a friend took his own life earlier in the fall. Alex had been shocked and said he would never be able to do such a thing. He would never deliberately inflict that kind of pain on his friends and family, she said. It was Sherry Williams’ doctor who gently suggested, several weeks after her son’s death, that she research the choking game. He called it “space monkeys” and told her everything she had said about Alex’s death lined up with what he had heard and read about the activity. At about the same time, a friend of David Quimby’s in Florida also brought it up. 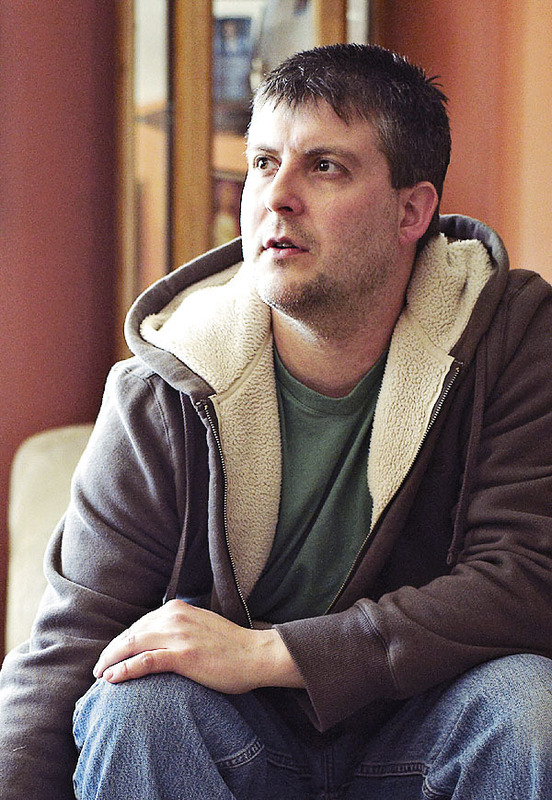 “She said, ‘You need to look into the choking game,’” Quimby recalled. When he did, he knew what had happened to Alex. The locked door, the angle of the belt around his son’s neck, the odd position of his body, the absent indications of suicidal intent all aligned with the shocking information he found, readily, on the Internet. Alex’s parents contacted their son’s friends in the Bangor area and were astonished to hear that virtually all of them had heard of “space monkeys” and many readily admitted to practicing it. One of Alex’s closest friends, Sean Murphy of Orrington, told the grieving parents that he had seen Alex take part in the choking game. On Friday, Murphy, 19, a student at Eastern Maine Community College, told the Bangor Daily News that he first played “space monkeys” when he was about 13. “I’ve probably done it 10 or 15 times,” he said. The last time was about a year ago. “I won’t do it again,” he said. “It’s just one of those things you experiment with when you’re young, but eventually you get away from it.” Murphy said most youngsters in the Bangor area have at least heard of the activity, and he estimated that half of them have actually tried it in a group setting. For many, he said, it’s an antidote to boredom and a way to get high in perceived safety. “It’s free, you don’t have to be 21, and it doesn’t smell,” he said. But he said, if he had known Alex was using a belt alone in a locked room to get high, he would have intervened to protect his friend. He has no doubt that it was the choking game that caused his death. After Alex’s parents joined an online group of families who have lost children to the choking game, they were contacted by “The Dr. Oz Show” and asked to share their story. Murphy, too, agreed to take part. In the past two weeks, they have taped segments in Florida and New York City; the show will air at 2 p.m. Monday, March 15, on Channel 2 in the Bangor area. Murphy said he feels honored to help spread the word about the choking game. 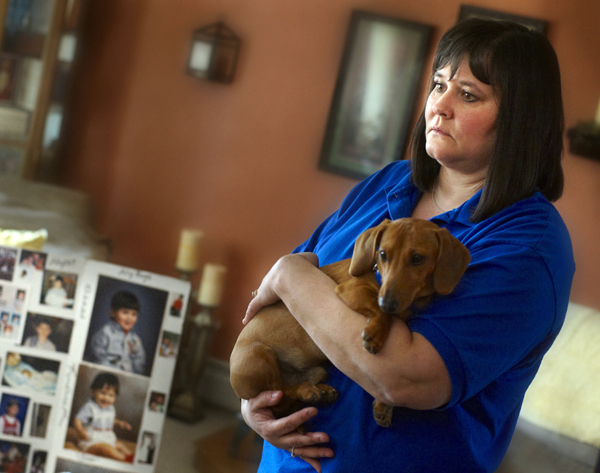 For Sherry Williams, learning about the choking game has brought some small measure of relief from the shattering grief of her son’s death. After she and her family shared what they had learned with authorities in Florida, the official cause of Alex’s death was changed from “suicide” to “undetermined,” she said. Even more important is the opportunity to spread the word about the choking game to others. Even though children often disregard their parents’ warnings, she said, parents should at least try to convey the danger of the choking game. “If I had said to him, ‘Alex, this will kill you if you try it by yourself,’ I like to think he wouldn’t have done it,” she said. Knowing the truth about Alex’s death also has made it a little easier to discuss with her two younger children, Nick and Taylor. Alex was very close to his stepsiblings, she said, and would never intentionally inflict pain on them. At 7, Nick is still too young to understand. But Williams has told Taylor, who is 11, that Alex didn’t take his own life. “To see the relief in her eyes was enough to know I had done the right thing,” she said. David Quimby cherishes the memory of happy times spent with his boy. About two years ago, he said, Alex had an opportunity to spend three hours snowboarding at the Sugarloaf Mountain ski area with Olympic gold medalist Seth Wescott. At the end of the afternoon, Wescott had autographed Alex’s snowboard. The snowboard subsequently was stolen. Just before Alex’s funeral, Quimby said, the snowboard was returned anonymously — with Wescott’s signature rubbed off it. Nonetheless, the board was displayed at Alex’s memorial service, a tribute to the young man’s adventurous spirit. Two days before Wescott took his second gold medal, Quimby received an e-mail from him. “When I leave the gate in Vancouver, I’ll be thinking of Alex and your whole family,” Wescott wrote. For David Quimby, this is a sign that Alex’s spirit lives on.